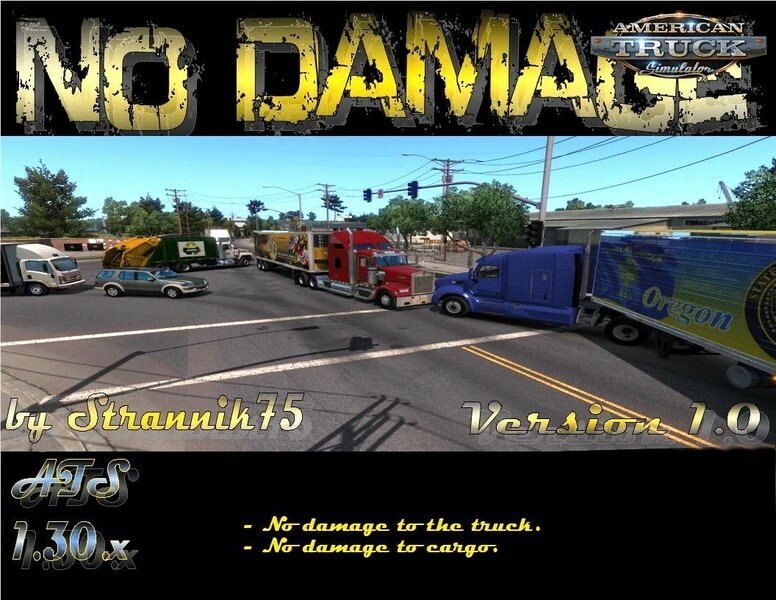 No Damage Mod v1.0 Strannik75 (1.30.x) for American Truck Simulator game. 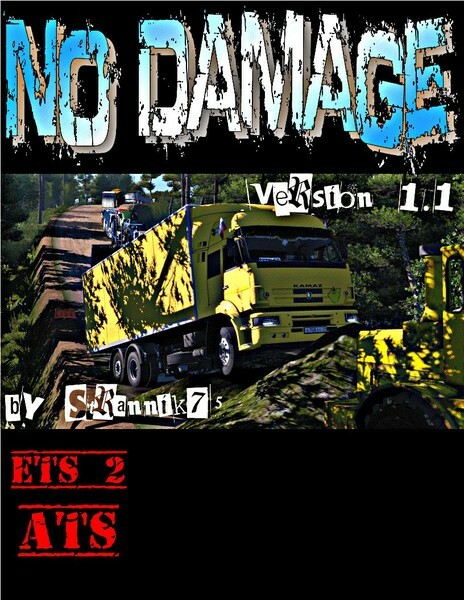 This mod adds no damage to the Trucks and Cargos from ATS game. - No Damage to the truck. - No Damage to the cargo.